Looking to do something different from your regular Friday night routine? Well look no further! Get caught up in the latest Skule™ scoop with other spirited Engineering alumni while kicking back to simply relax. 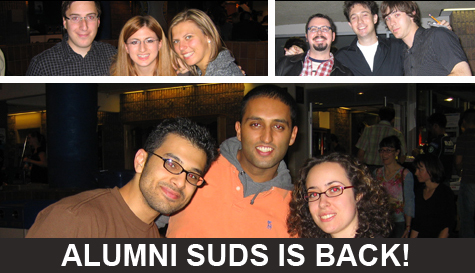 Spice things up a bit - make Alumni Suds your destination of choice. The first 150 alumni to RSVP online will receive a bonus incentive! Friday, October 17, 2008 | 5:00 p.m. - 8:00 p.m.